Do you know the difference between a Charmander and a Charmeleon? 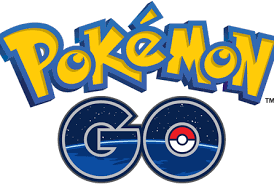 Pokémon Go is an augmented reality game in which players find, capture and fight virtual reality creatures, called Pokémon. It has become a craze. Playing can easily lead to obsession and this can spill over into work time. However, employers can take steps to ensure that this does not happen. A recent report by Ofcom claimed that 59% of us consider ourselves to be “hooked” on our smartphones, which can bring us into conflict with employers. Cover the use of electronic devices and when and how they can be used. Increasingly popular at the moment is a BYOD (bring your own device) policy; allow employees to use their own handsets for company business. Clarify that breaching this policy is a disciplinary offence. Are consistently applied to all employees so as to avoid disaffection and allegations of unfair warnings or unfair dismissal. Remember that the Pokémon Go madness may be a short-lived trend, so why over-react? However, a quick reminder to employees would not go amiss. Make it written (eg emailed), so that employees can’t deny receipt. Enthusiasts of Pokémon Go whilst glued to their smartphones, capture these fictional creatures and are less aware of their surroundings. This can be a problem in your warehouse or parking area. Employees should be notified to remain alert at all times while on the premises and adhere to the safety rules. Promoting vigilance towards their surroundings ensuring even outside of work hours’ reduces the risk of accident-related sickness. If you can’t beat them join them. Consider the potential positive benefits of this game; it could be used as a team building exercise. Turning a blind eye where work is not affected shows that you are a fun place to work. Our experience is that this leads to better staff retention and less absence. We sometimes forget that we are living in a technological age were everything is at your fingertips and so distractions are inevitable in the workplace. Therefore, employers should take measures to ensure maximised productivity despite them. On the other hand, employers should not overlook the numerous potential elements that technology such as this game provides in respect of social employee engagement.